Each summer the United States Youth Soccer Association (US Youth Soccer) crowns a boys and girls national champion in each of its six age divisions (Under 14, 15, 16, 17, 18 and 19). 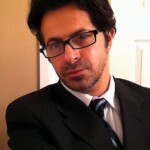 The finals are a culmination of a year-long series of competitions at the state and regional levels known as the US Youth Soccer National Championship Series which provides approximately 185,000 players on 10,000 teams from US Youth Soccer’s 55 State Associations the opportunity to showcase their soccer skills against the best competition in the nation. 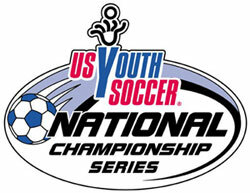 The US Youth Soccer National League is an extension of the highly successful US Youth Soccer Regional Leagues (US Youth Soccer Region I Premier League, Midwest Regional League, Region III Premier League and Far West Regional League) to play not only to claim the title of National League Champion but also to earn two slots in each gender age group at the US Youth Soccer National Championships. 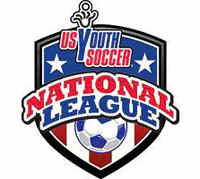 In addition to the four Regional Championship winners, the top two finishers in each age group from the National League will earn slots to the national finals. The National League’s top four finishers will also retain their positions in the league for the following season. Soccer Across America is designed to introduce the sport of soccer to youngsters living in communities not yet served by existing clubs and leagues. Focused on making soccer available to lower-income children in underserved communities, Soccer Across America provides soccer training and administrative guidance to players and organizations who might otherwise not be exposed to the sport.